The European Court of Human Rights in Strasbourg last week rejected a request for an injunction filed by pro-independence supporters of former Catalan President Carles Puigdemont. Had it been issued, the injunction would have overruled Spain’s highest courts and required Spain to allow the former leader to stand for president of the region in a vote by deputies of Catalonia’s Parlament. Puigdemont, who fled to Brussels in early November to avoid arrest after failing to appear for a court hearing on charges of rebellion, sedition and misuse of public funds, had already agreed on 3rd March to temporarily withdraw his candidacy to become Catalonia’s next president in favor of pro-independence activist Jordi Sánchez, making the injunction issue a virtual moot point. But, the European human rights tribunal’s ruling on the injunction request for Puigdemont does set an important precedent and delivers a note of caution to Catalonia’s pro-independence movement over the advisability of recurring to the court to internationalize the Catalan conflict and obviate the Spanish government and legal institutions. Almost simultaneous with the European human rights court ruling, presidential replacement candidate Sánchez had his effort to stand for election in the Catalan Parlament rebuffed by an appeals panel of the Spanish Supreme Court. The decision upholds Supreme Court Justice Pablo Llarena’s refusal to grant Sánchez leave from preventive custody in a jail outside Madrid, where he is awaiting trial on the same charges of rebellion, sedition and misuse of public funds for which Puigdemont is wanted. 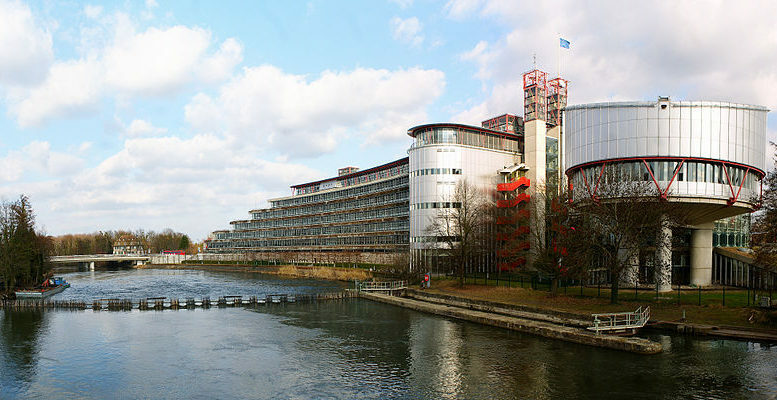 That leaves Sánchez and his attorneys with one last legal strategem in Spain of filing a complaint with the Tribuna Constitucional court on the grounds that his constitutional rights to democratic participation are being violated, before they decide whether to carry through on a threat to likewise take his case to the European Court of Human Rights. Given the rejection of the court’s request for an injunction for Puigdemont, and the fact that the European rights tribunal very rarely and only in cases involving threat to life or limb issues such injunctions, most observers now say that there is little chance Sánchez could be successful in taking his case to Strasbourg. In recent weeks, the Catalan secessionist movement had been heartened by two much-publicized decisions handed down by the court in Strasbourg. One ruling in February condemned Spain to pay 50,000 euros in damages to two former members of the Basque separatist group ETA involved in a 2008 bombing of Madrid’s Barajas airport that killed two people. The two members had been subsequently arrested by the Guardia Civil and badly beaten and tortured while in custody. The second ruling, earlier this week, ordered Spain to pay 14,400 euros in damages for having violated the freedom of expression of two Catalans, who were fined in lieu of a 15-month jail sentence for having burnt a photo of Spain’s head of state, King Juan Carlos, in a pro-independence demonstration in 2007. But as a court “of last resort” for Spaniards seeking redress when they feel the Spanish legal system has failed them, the European Court of Human Rights is by no means a safe bet. Not only does the court rarely issue preventive injunctions of the type sought for Puigdemont and being considered for Sánchez, but the Strasbourg tribunal has ruled against Spain surprisingly few times in the nearly 39 years since it ratified the European Convention of Human Rights in 1979. In those nearly four decades, the court has found against Spain 103 times, with 48 of those negative rulings for violation of the right to a fair trial — last year, Spain came out the loser in only six of the 641 complaints filed against it at the European human rights court.